By default, you’ll receive a daily email of project updates from any Fieldlens project you’re on. But any registered Fieldlens user can control how, and how often, they get notified. We get that these may be different depending on your role on each project. From both web or mobile you can, of course, turn off notifications altogether. From the Projects Page click the gear icon in the upper left and choose Settings. From within a project access Settings by tapping the three dots in the upper right corner. Select Notifications from the menu. 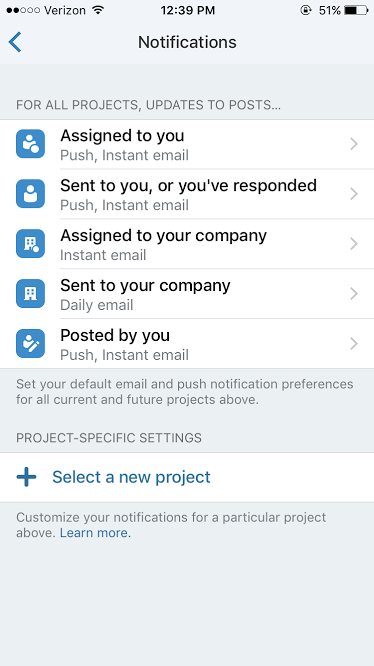 There you’ll see options to control push and email notifications for all projects. 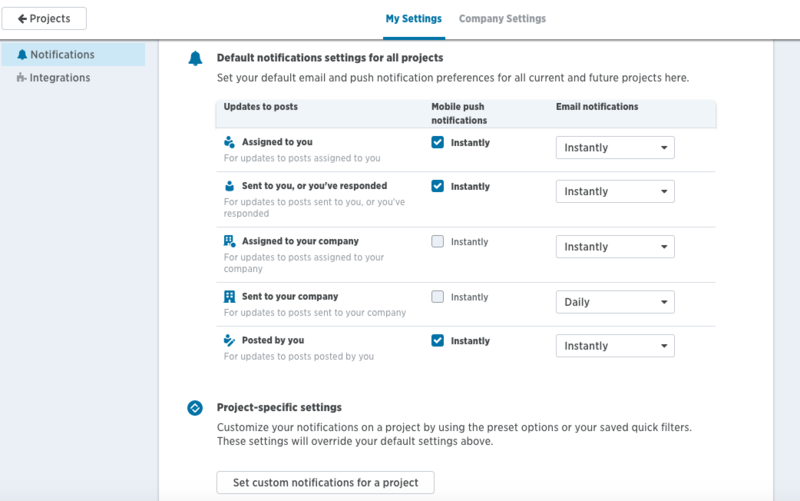 You can also set project-specific settings from this page if you would like to mute notifications or tweak them for any particular project. Click your profile picture in the upper right of the web app. Click Settings from the drop down menu. Choose Notifications from the left hand side of the screen.